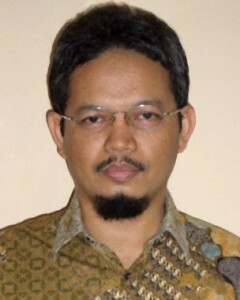 Prof. Dr. Ono Suparno is a professor of process technology at Department of Agroindustrial Technology, IPB University (Bogor Agricultural University), Bogor, Indonesia. His current field of research interest relates to phenolic reactions for leather tanning and dyeing, natural resources for the leather manufacturing, environmentally friendly leather processing, fibre and polymer technology, and process technology in agro-industry. Leather making is one of the oldest crafts performed by humankind. Although there is world-wide trend to exploit alternative materials derived from other sources, leather still finds widespread use. Tanning is the most important step in leather production. It is typically carried out in an aqueous environment in rotating drums. During tanning, collagen will fix the tanning agent to its reactive sites, as a result stopping the putrefaction phenomenon. Tanning can be classified into three groups: mineral tanning, vegetable tanning, and other organic tanning (aldehyde, quinone, oil, and synthetic tanning). Four elements play a significant role in the modern leather tanning industry, i.e. chromium(III), aluminium(III), titanium(IV), and zirconium(IV), of which chromium(III) is the most important. Nowadays, more than 90% of the world’s leather is tanned with chromium, which is a consequence of the easy processing, the broad achievability and the excellent properties of leather. Tanning using Cr(III) sulfate can achieve shrinkage temperatures above 120oC. However, it also has considerable potential for environmental pollution. The interactions of collagen with chrome have been extensively investigated since the end of the nineteenth century. The fundamental reaction is the formation of complex bonds with the ionised carboxyl groups of aspartic and glutamic acid residues on collagen fibres. Other mineral tannages (Al(III), Ti(IV), and Zr(IV)) have similar reaction mechanisms to chromium, although reaction is dominated by electrovalent bonding, thus much lower shrinkage temperature is obtained than with chrome. The maximum shrinkage temperatures of leather tanned with Al(III), Ti(IV), and Zr(IV) salts are 79, 90, and 97oC respectively. The development of titanium and zirconium tannage is relatively new. Empirically, the chemistry of Ti(IV) is dominated by the titanyl ion TiO2+ and the species in the tanning agent are chains of (Ti-O)n. Zirconium salts are characterised by eight-coordination and high affinity for oxygen, resulting in a tetrameric core structure; the basic unit of structure is four Zr(IV) ions at the corners of a square. The tanning powers of titanium and zirconium are similar and both are better than aluminium. Written by: Ono Suparno, P.hD.